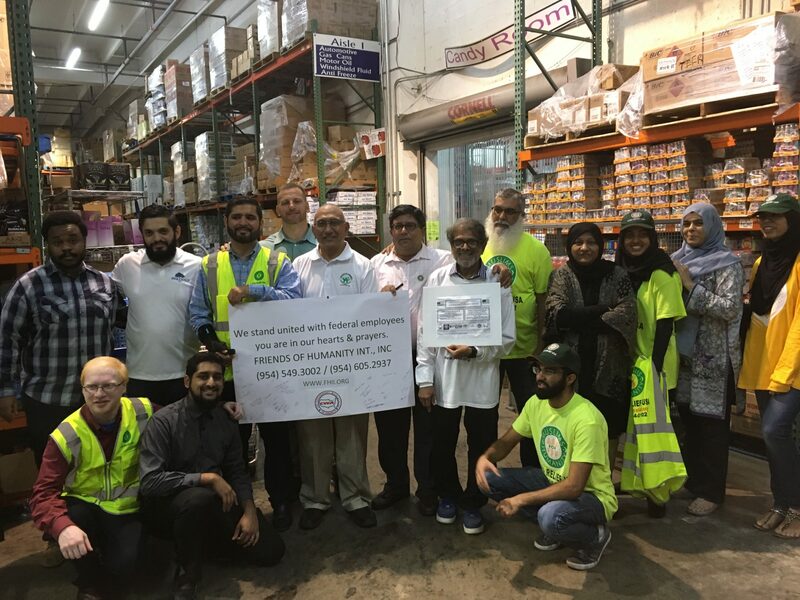 South Florida Muslim service organizations came together to load and deliver a truck of 100 food packages to families affected by the government shutdown. Members from Friends of Humanity, The Islamic Foundation of South Florida, The Islamic School of Miami, ICNA Relief USA, Islamic Relief USA, UHI Community Care Clinic, CAIR South Florida, The South Florida Muslim Federation and others attended and assisted. MIAMI (CBSMiami) – Volunteers from South Florida Muslim groups pitched in Thursday at a Fort Luderdale [sic] warehouse, packing a truck with food to deliver to Coast Guard workers at their base in Opa-locka. Feeding South Florida is holding food distributions across the region, including Monroe County. The food bank’s sorting facilities are at 2501 SW 32 Terrace, Pembroke Park and 4925 Park Ridge Blvd., Boynton Beach. The food bank is giving out weeks worth of food to federal employees. Gussie Flynn, a spokeswoman for the organization, said people can volunteer at Farm Share’s warehouse in Homestead and at food distribution events across Miami-Dade. The food bank also needs canned goods and other non-perishable items. “If you would like to have a canned food drive, that would be wonderful,” she said.